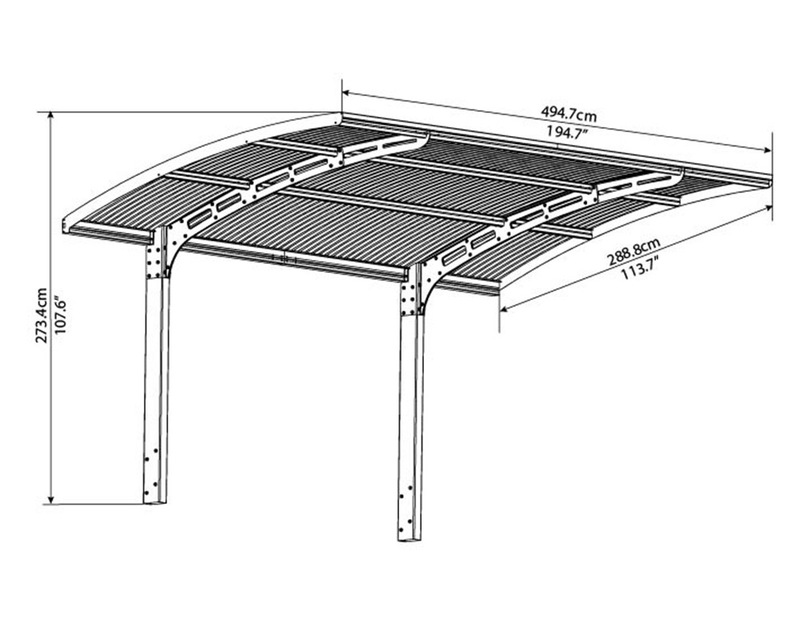 Arizona Wave polycarbonate carport kit with quality SUNTUF corrugated polycarbonate roofing. Grey heavy duty aluminium structure with Solar Grey roof sheet which blocks harmful UV rays and transmits natural sunlight. Two pole structure provides easy access with built in gutters. The Arizona provides a cost effective and simple solution to cover your car or outdoor area. Ready to assemble and maintenance free! The Arizona Wave polycarbonate carport kit is a free standing structure using 2 poles. It features Suntuf Solar Grey corrugated polycarbonate sheets with a heavy duty grey rust free aluminium frame. Ready to assemble pre-drilled profiles, pre-cut panels; all screws included. Suited to provide shade to a vehicle, boat or caravan. It is easy to install and will last for years to come. You can also join this kit together, in two different ways! See the images below.